Acting is a craft, therefore a skill set that can be learned. Talent is what makes it yours. We are all unique so just bring yourself and your imagination. I teach the fundamentals of story and acting that any method or style can be applied to. Lay a strong foundation and build an incredible house. I will show you a step by step process to easily break down scripts, bring your character to life and learn to be camera ready. My goal is to help actors understand the basics of how to become a professional. Trained actors have careers, untrained actors are Instagram stars that fade away. Train your whole instrument, body, mind, and soul. Read great literature, study several methods or techniques, train the voice, take a boxing class and learn to hold your ground and own your space. One thing that makes acting great is that most anything you learn, guitar, dancing, carpentry, scuba diving or Karate, will only enhance you and might even be the difference in getting a job. All the actors you admire, especially the Brits are really well trained! Craig Nigh grew up in Bryan TX, a small town between Austin and Houston. In his early 20’s after a few years of community theater, Craig got the acting bug and decided to move to Los Angles. Arriving in LA, not even knowing what a headshot and resume were he was introduced to his first real acting teacher Arthur Mendoza (protege of Stella Adler and mentor to Benicio Del Toro). Arthur taught him the Adler method and gave him a real foundation in theater, acting and acting history. Craig spent almost 15yrs in LA working in all aspects of the business while also booking commercial, TV, and film Gigs on shows like Frasier and NCIS. Off Camera he worked as an underling at a top talent agency, did crew work on film sets and later worked for a top Hollywood producer. Returning to Austin in 2008, Craig continued to act getting roles on Breaking Bad, Revolution, From Dusk till Dawn, Leftover and Recurring on the Lying Game. He also began working with local casting directors, learning a ton about what makes an audition and an actor stand out. Craig directed his first film, a short called Breaking the Curse in 2012, which led to the realization he wanted to spend more time behind the camera. He has been taping auditions and coaching actors for almost a decade now helping many book roles on shows like Macgyver, I Tonya, Revolution and many others. 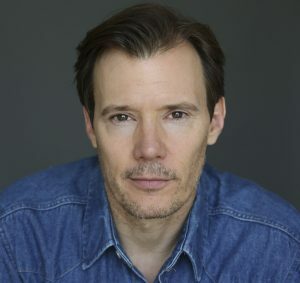 Craig can be seen most recently on Queen of the South as Deputy Loftus and is set to play the lead the feature film Writers Block schedule to start in late October.